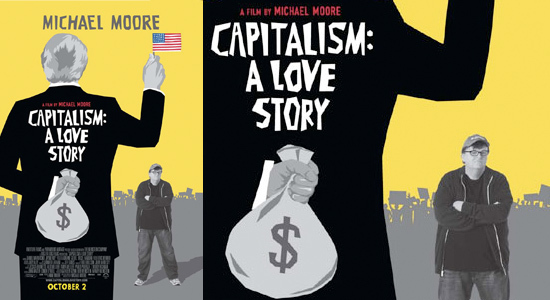 Michael Moore’s brand of populist polemics had more of a sense of burning urgency during the Bush era than it does now. His new film tub-thumps against the evils of corporate capitalism in America. It’s a message we’ve all heard before in the wake of the economic collapse, the sub-prime mortgage crisis and the bank bailouts. However, he delivers it in such rousing and entertaining fashion that he carries us with him. This may be a documentary but it has the same uplifting, folksy feel as old Frank Capra movies of the 1930s in which an American everyman (James Stewart or Gary Cooper) would take on the big, bad world of Washington or Wall Street. The film opens by comparing the contemporary US to the Roman Empire in its terminal days of decline. Reality TV and wrestling, Moore argues, are the new equivalent to the “bread and circuses” during the time of the Caesars. “The Handbook of Islamic Banking” comprises 25 studies by leading international experts on Islamic banking and finance specially commissioned to analyze the various debates and the current state of play in the field. From its origins thirty years ago, Islamic banking has expanded rapidly to become a distinctive and fast growing segment of the international banking and capital markets. Despite this expansion, Islamic banking still remains poorly understood in many parts of the Muslim world and continues to be a mystery in much of the West. This comprehensive Handbook provides a succinct analysis of the workings of Islamic banking and finance, accessible to a wide range of readers. At the same time, it seeks to bring the current research agenda and the main issues on Islamic banking before a wider audience. Islamic banking offers, as an alternative to conventional interest-based financing methods, a wide variety of financial instruments and investment vehicles based on profit-and-loss sharing arrangements. These are all explored in detail along with other subjects such as governance and risk management, securities and investment, structured financing, accounting and regulation, economic development and globalization. M. Kabir Hassan, Mervyn Lewis and the other contributors have created an authoritative and original reference work, which will contribute to a wider understanding of Islamic banking as well as provoking further discussion and research. It will be invaluable to all scholars, researchers and policymakers with an interest in this subject.